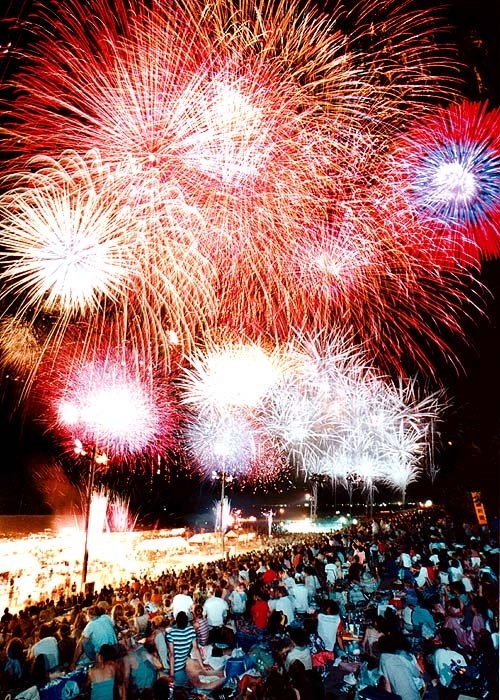 Every year on the first Saturday of August, the population of Kawakita increases more than tenfold, with up to two thousand spectators turning the Tedori River Event Ground into a sea of people. The Tedori Fire Festival (Tedori Hi Matsuri) took shape in 1986, with the idea to create a festival that involved everybody in Kawakita. It continues to grow every year and draws people from all over the Hokuriku area. The festival begins with Japan’s tallest bonfire (45 metres high) creating a backdrop of burnt red night sky behind the special riverside stage. Carrying burning torches, groups from each of the Kawakita villages gather and perform the "mushi-okuri taiko"; a style of Japanese drumming traditionally performed to chase the insects away from the rice fields. The night sky burns red and the drums beat in unison to send out the prayers of the farmers. As the adults and children of the local Tedori Koryu Taiko group take to the stage, the sweat glistens and the energy intensifies. It is indeed an amazing show of the combined efforts of the Kawakita residents. 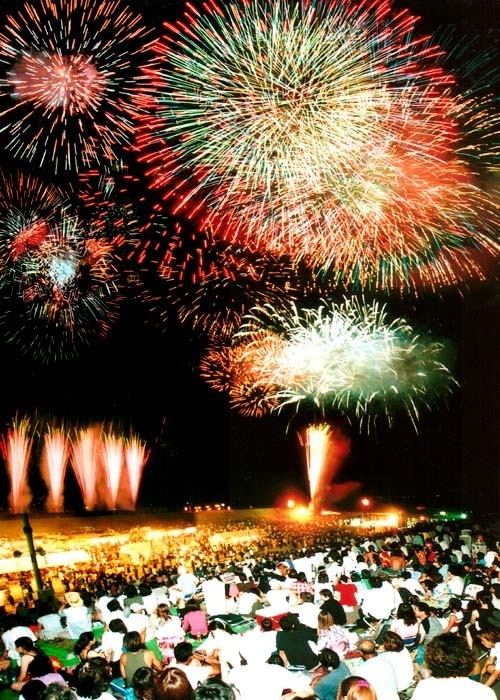 The Tedori Fire Festival boasts a display of 10,000 fireworks, and is the biggest in Ishikawa prefecture. 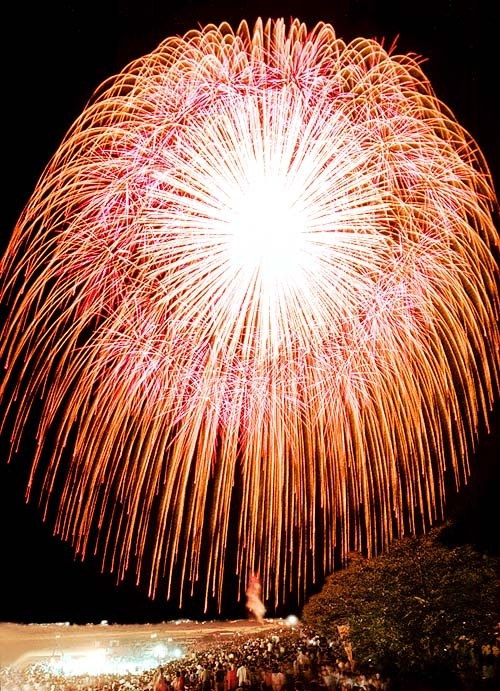 It includes 20 fireworks that can only be used on the banks of the wide Tedori River, as well as a 200m wide Waterfall firework in the shape of Mt Hakusan. The crowds of spectators “ooh” and “ahh” and fan away any wayward ash from the bonfire. Many have reserved their spaces from the day before, in order to get the best view. All have been relaxing on their blankets and mats since early afternoon, drinking, eating and soaking up the festival atmosphere.